For most of Jonathan Franzen’s life, he felt a little bit of shame when it came to his love of birdwatching. Now, he has embraced it and even more so, over the past few years he has become an advocate for bird conservation. The author, most famous for his novels including The Corrections and Freedom, prominently features birds and bird imagery in his writing. His newest collection of essays, “The End of the End of the Earth” is no different. The global declines of seabirds concerns Franzen who sees there is hope if we act now. Seabirds, in particular, are largely threatened by the presence of invasive species on islands. 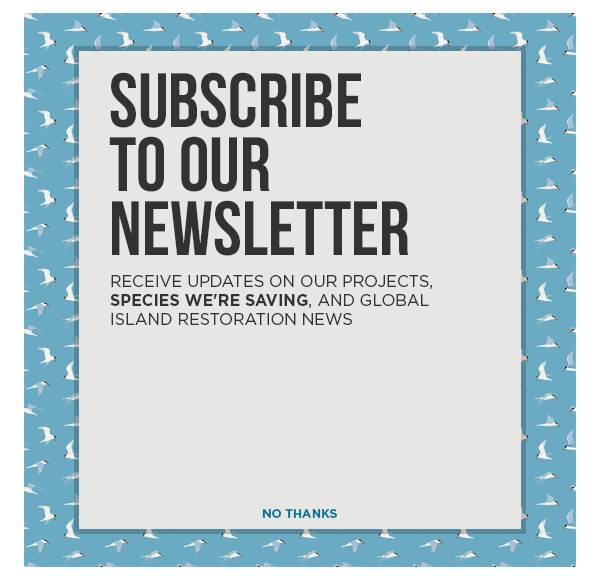 Franzen, who has been a vocal supporter of Island Conservation and our mission to prevent extinctions by removing invasive species on islands, is hopeful that education can help. An emphasis on invasive species education especially with cat owners to publicize the threat that cats pose to native birds and other wildlife is part of the answer. Birds, are not his only passion but have become an important aspect of his writing over the years. He sees it as his responsibility to call attention to the things that have been neglected and forgotten, namely, birds and novels.